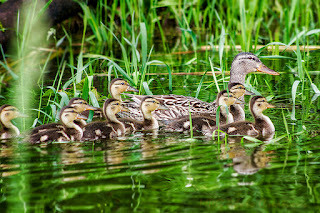 This is an image I captured a while back in Minnesota of a lovely duck family. I believe they are Mallards. 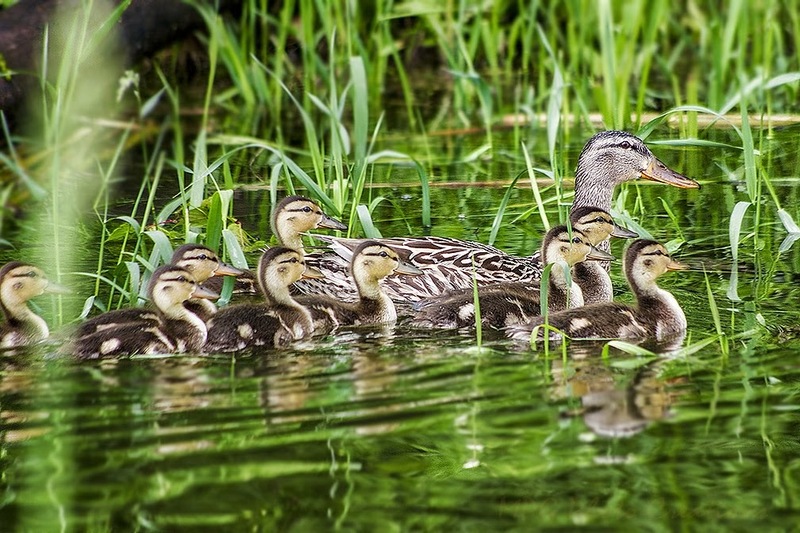 I think the young ducklings are very cute when they are so fuzzy looking.